Noticed the oversized earring trend all over your newsfeed? 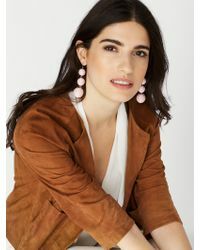 Get involved with a pair of Baublebar Crispin earrings. 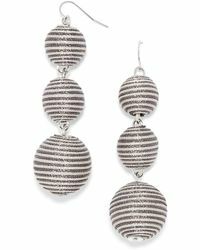 Coming in a tiered, bauble style, the Crispin is made from stacked spheres for a beehive effect. Pick your favourite shade or pattern and wear with off-the-shoulder styles or classic tailoring to really make the look pop. 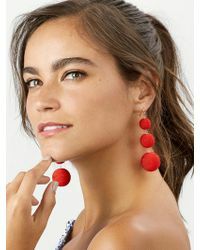 The Crispin is the only pair of earrings you'll be wearing this season, so don't stop at just one.